I'm starting up the Web Working Group's monthly reports again, and, 6 months later, the kind of updates I've got have really changed! Our software contributing community is far larger today than it was then; as noted in this recent post, more than 1/3 of our contributors over the past 4 years joined since August. In the past month, we've had 22 people submit new code or bugfixes, and almost all are new to our project. So this update is as much about our continued #software-outreach efforts as it is about the software itself. Things have progressed quickly, and dozens of features and bugfixes have been solved, putting pressure on us to continue preparing issues for the many contributors who show up -- a good problem to have! 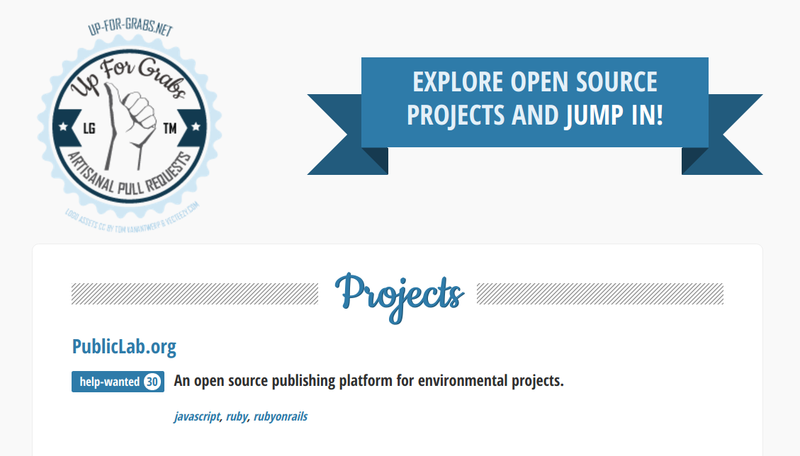 https://up-for-grabs.net <= we're the only Ruby on Rails project! See screenshot above. 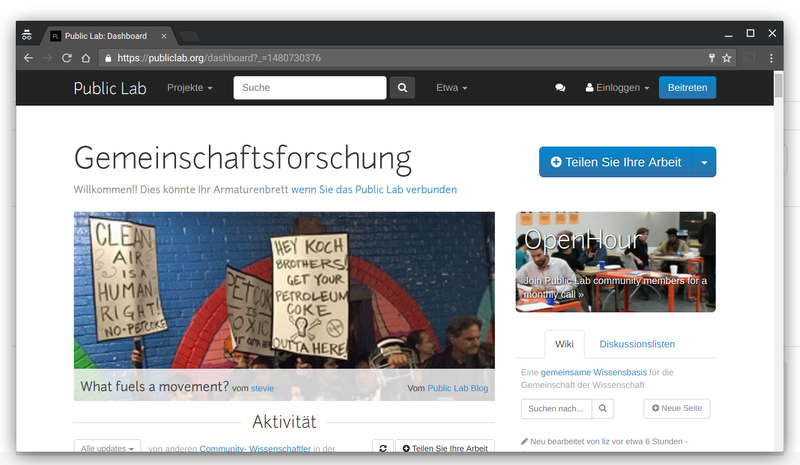 http://publiclab.org/wiki/developers has also been updated, with new activities such as Create a welcoming first-timers-only issue. I posted recently about joining "supportive groups" -- and this past week, we had 4 people actually join a new "@publiclab/reviewers" group - @ananyo2012, @ashleypt, @ryzokuken, @ykl7 (their GitHub usernames). Ananyo you may remember from this past summer's Google Summer of Code program, as the author of our new Questions system. They've agreed to help greet and encourage new contributors, and to offer input and helpful suggestions when folks submit new pull requests with fixes or new features. We've learned that this personal contact and welcoming really makes the difference! 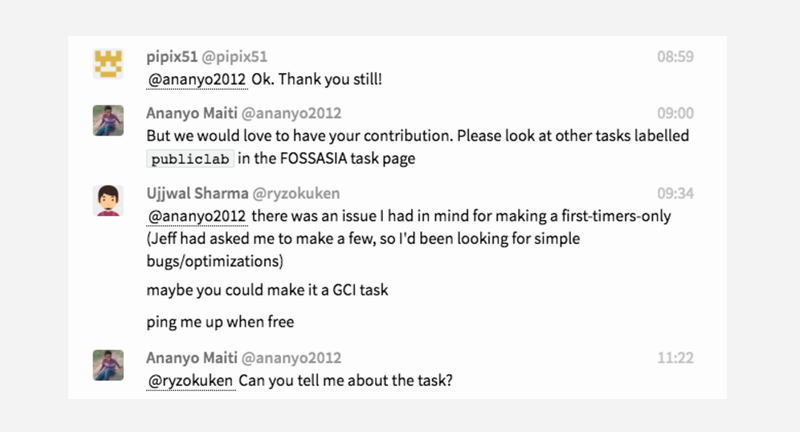 As if this weren't enough, Ananyo has also signed us up for Google Code-In, with support from umbrella org FOSSASIA, and have already engaged four high school students in projects across our codebase. Amazing work, Ananyo! With our new #internationalization work from the past summer, translations are ongoing, with german added to our languages dropdown menu (check it out! ), and progress on Chinese translation as well. We're doing our best to identify coding projects or features that have become "stuck" due to lack of information, or a clear next step, and we're meeting weekly in an open call (comment if you're interested!) to take suggestions for "stuck" issues. That's it for this month! More soon, and thanks to everyone who's made this a success in the past few months!